At Outside Agent Link, we know just how overwhelming starting your travel agency can be which is why one of our number one goals is providing you with a ton of support along the way. Our blog is full of helpful travel tips and overall feel-good travel posts to keep you inspired. 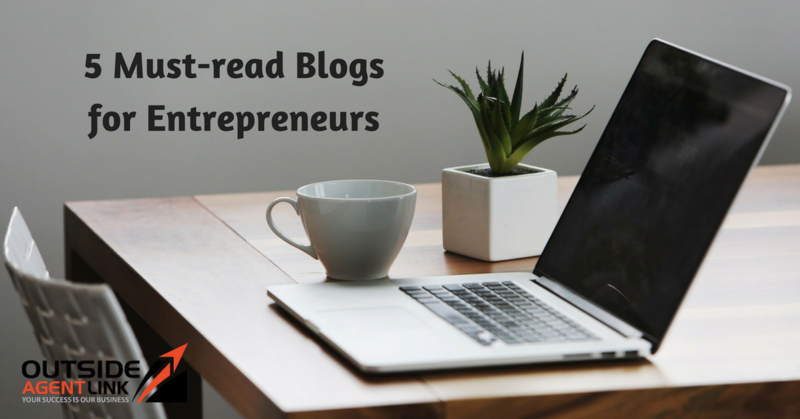 Once you’ve perused through our posts, check out some of our other favorite must-read blogs for entrepreneurs. Motivation Grid is all about providing knowledge, experiences and positivity to keep you moving towards the goal of self-improvement. As an entrepreneur it’s so important to focus not only on your business, but yourself as well. As you develop in a positive way, you’ll see your business grow with you! Seth Godin is an author of a dozen books about entrepreneurship and marketing. He updates his blog every day (yes, every day!) with inspirational thoughts and short nuggets of wisdom. His posts provoke thoughts and motivate growth in your life and business. Planet of Success is a blog dedicated to inspiring you to live a life full of happiness and purpose, with strategies on how to be the most successful you. As an entrepreneur, many responsibilities lie on your shoulders, but with a daily dose of motivation and happiness, you can accomplish anything! Michael Hyatt is a best-selling author that has transitioned his successes and knowledge into an entrepreneurial blog that focuses on business growth, self-development and productivity. He also runs a weekly podcast that focuses on living more passionately and working with more focus. For Entrepreneurs is actually a blog focuses on providing strategies and advice for entrepreneurs and startups. Whether you’re looking for sales tips, marketing advice or business models to follow, you’ll find it all at For Entrepreneurs. At Outside Agent Link, we’re eager to help you grow as an independent travel agent. Luckily, you’ve also got a lot of other big time influencers in your corner too! By adding these must-read blogs for entrepreneurs to your weekly to-do list, you’ll find yourself aspiring to greatness. What are some of your favorite blogs to help you stay motivated?